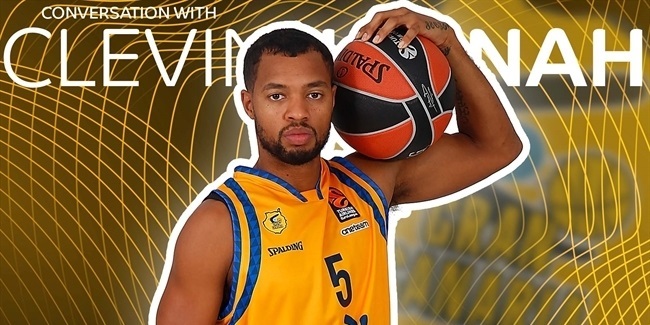 Herbalife Gran Canaria point guard Albert Oliver is a familiar face for lovers of European basketball. And it's no wonder because he turned 40 years of age at the end of last season and is the senior-most player in the Spanish League. Oliver grew up as a player in his native Terrassa, a rather big town close to Barcelona, and then in Badalona, where he made his pro debut in 1997 at age 20. Now, 20 years later, Oliver is ready for a new challenge in a career that has seen it all: playing his rookie season in the Turkish Airlines EuroLeague. Oliver will also be the oldest player this season in the league. Moreover, he will become the second-oldest player to debut in the competition behind only Dan Gay, who was 45 when he first appeared for Climamio Bologna in December 2006. 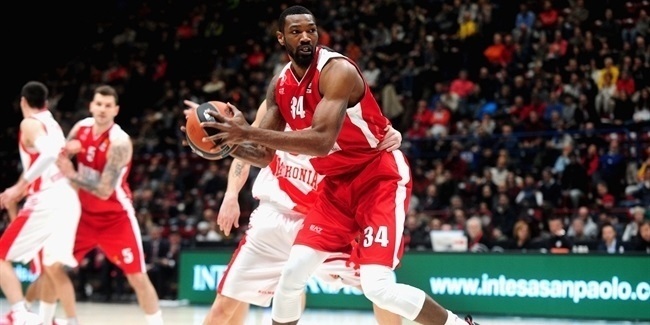 If and when he scores a point, however, Oliver will become the oldest scorer in the EuroLeague this century, because Gay did not score any points in his briefs stint with Bologna in 2006. "I even felt that I missed that train sometimes but, fortunately, the train was still waiting." The past two decades have been a long and adventurous road for Oliver. He played for several Catalan teams at the start of his career, starting with Joventut and later suiting up for Lleida and Manresa. In 2006, Oliver moved to Valencia and he made his EuroCup debut in 2006. He also played in the EuroCup with Estudiantes of Madrid, where he played from 2009 until 2011. In 2012, Oliver returned to his roots and spent two years with Joventut. He joined Gran Canaria in 2013 at 35 years of age. He has played in the EuroCup every year since 2014 and helped his team reach the finals in 2015. After years of hard work and impressive accomplishments in the EuroCup, Oliver now enters a new reality. "It's been many years watching the other teams on TV, thinking that one day I'd have the chance to be there myself," Oliver said. "I even felt that I missed that train sometimes but, fortunately, the train was still waiting." Oliver played a total 117 EuroCup games throughout seven seasons, in which he tallied 704 points, 393 assists and 241 rebounds. His assist total is the third-best in EuroCup history, so Oliver has the chops to play at the top European levels. However, taking the final step on the ladder seemed to be a dream until recently. "Of course, I imagined I'd play in the EuroLeague someday. I knew I had the level to be in the EuroLeague, but for one reason or another, I never had the chance. When I got to Gran Canaria I kind of accepted I would never play in the top competition. I came here to compete in the Spanish League, but for this team to be in the EuroLeague, many factors had to happen at the same time... and they did!" "I am sure [my kids] will ask me to get autographs from many players." In a way, Oliver feels blessed that it has happened now. His daughter, Aina, and his son, Marc, will now be able to truly live the experience with him. "I am excited. So are my two kids! My daughter is 13 and my son is 10, so if I had played here at age 30, they would have been too little and wouldn't have lived it like they will now," Oliver said. "It is a memory I will treasure forever, but so will my family, especially the kids. They know many players because they follow the EuroLeague. I am sure they will ask me to get autographs from many players." The fact that Gran Canaria is also making its debut in the EuroLeague makes it all the more special. "This is an island that is far away from everywhere," Oliver noted. 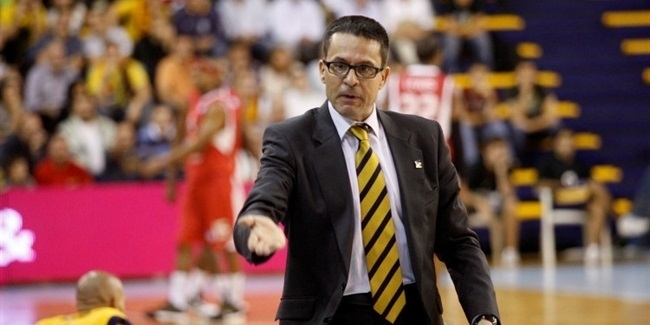 "We competed rather well in the EuroCup, but the EuroLeague... When we officially qualified, in the Spanish League semifinals playoff game we played here against Real Madrid - even though we lost – there was a huge celebration and fans greeted us as if we had won a title. We just want the people to keep a good memory of this." Now, the long road of the 30-game regular season stands before Herbalife Gran Canaria, and Oliver and his teammates can't wait to take their first steps of it. "I expect many memories to be made in the arenas we visit. Fenerbahce, OAKA... Those are places I have seen on TV for many years and I also wanted to play there. I know it's not the same that we go there instead of Madrid or Barça, because we are a smaller team, but visiting those places... the Maccabi arena, the new Zalgiris arena..." Oliver anticipates with a smile on his face. "I can't wait to go there! I want to see those places, the yellow stands in Tel Aviv, those fans chanting..."
Oliver said he feels ready to take on the game. He knows he is older, but also wiser. "I will try to do everything I always do: play basketball well," he said humbly. "I know that as years go by I get slower. I mean, I have always been slow, but it gets worse with age! The opponents are stronger than me. On the opposite end, I also feel like I am a better player every year because you never stop learning from this game. Too bad that the body goes the opposite direction!" "I also feel like I am a better player every year because you never stop learning from this game. Too bad that the body goes the opposite direction!" "First and foremost, I love my job. I am 40 now, but one year ago, two years ago... always, I love coming to practice. Some days I feel tired, of course, but normally I love every minute of it. I like practicing, competing on the court, the games..." Oliver said. "Also I take care of myself. I always rested well and was never too keen on the nightlife. And now I pay special attention to what I eat and my recovery periods. It takes longer now after games, so I try to eat right or drink shakes to recover faster. I always rested well, but now what I eat is paramount. If I am well, I will play well and I can help the team." Oliver might be facing the last season of his long, productive career. If that is the case, a season in the Turkish Airlines EuroLeague would be the cherry on top for him. However, be warned, because he might develop a love for it and come back for more: "I like this a lot, so I want to stretch it as long as I can!"